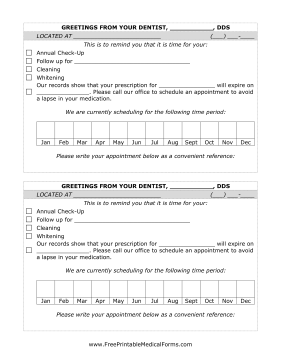 Postcards are an easy way to remind your dental patients to schedule a needed treatment. These postcards feature a fun background and can be quickly filled out for large mailings. Two postcards are provided per page.